Bessie Colman was born on January 26th, 1892 in Atlanta, Texas. When she was 12 years she attended a missionary Baptist church. When she was 23 she moved to Chicago, she lived with her brothers and worked as a manicurist. She read books about the World War 1 pilots, witch interested her in aviation. 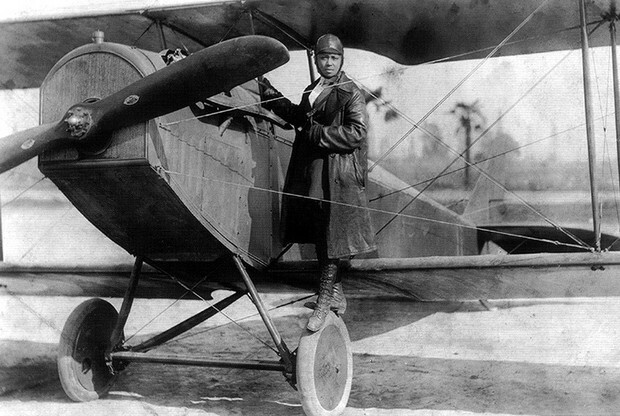 In 1922, Colman was the first black woman to earn a pilots license. Flying schools in the U.S denied her, so she moved to France to achieve her goal. Soon Bessie earned her license in France from the Caudron Brother's School of Aviation. Then she stated to learn stunt flying and in 1922 did was the first public flight by an African American in America. On April 30th, 1926 in Jacksonville, Florida. The aircraft she was about to fly wasn't safe.Her family and friends told her not to fly in it, but she flew in it anyway. She didn't buckle and the plane went crazy, so she fell from 2,000 ft in the air. She died instantly when she hit the ground. The plane went crazy because a wrench was jammed in the gearbox. She was only 34 when she died. She will be remembered forever.